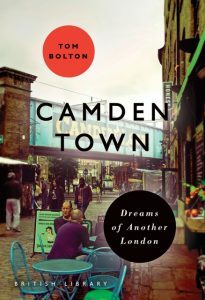 To mark the publication of his new book, ‘Camden Town: Dreams of Another London’ (British Library Publications – due out 28 September, 2017), author Tom Bolton is leading a walk looking at Camden’s culture and history, closing with a special book signing event at Waterstones in Camden. When the railways arrived, Camden Town sprang up in fields at the edge of London, and was soon a 19th century turmoil of dirt and poverty, factories and warehouses, outcasts and exiles, artists and writers, all sharing a few streets. Behind its tourist facade, Camden today reflects the multiple layers of its past. The walk will examine significant buildings, surviving and vanished, to reconstruct Camden as Smoke Town, Gin Town, Piano Town, Market Town and much more. Camden Town perfectly embodies the cultural mix for which London is famed. 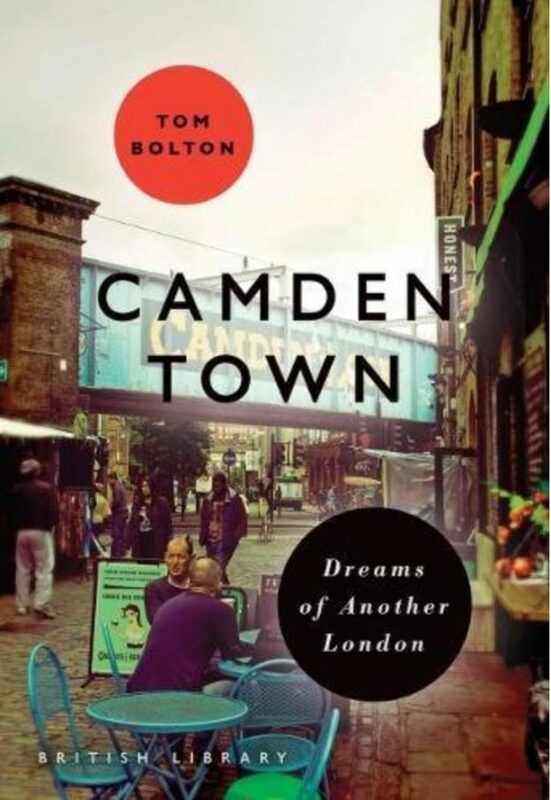 Alongside the buzzing Lock market, the pubs and music venues and the eclectic shops, there is another Camden – impossible crowds, shameful poverty, bad housing, gang fights, murders…Tom’s book takes five landmarks as the starting point for a series of journeys into the layers of history and culture that make Camden Town. The World’s End pub existed in various forms before Camden began. The Regent’s Canal Bridge is where today’s crowds flock to the locks and market, while Arlington House, just a block away, belongs to a parallel Camden of immigration and new beginnings, poverty and homelessness. No. 8 Royal College Street represents how, even with the first buildings of nineteenth-century Camden Town, social outsiders were attracted to the area. Meanwhile the Roundhouse, an engineering curiosity, was to become the revered centre of Camden’s cultural scene, and much more. 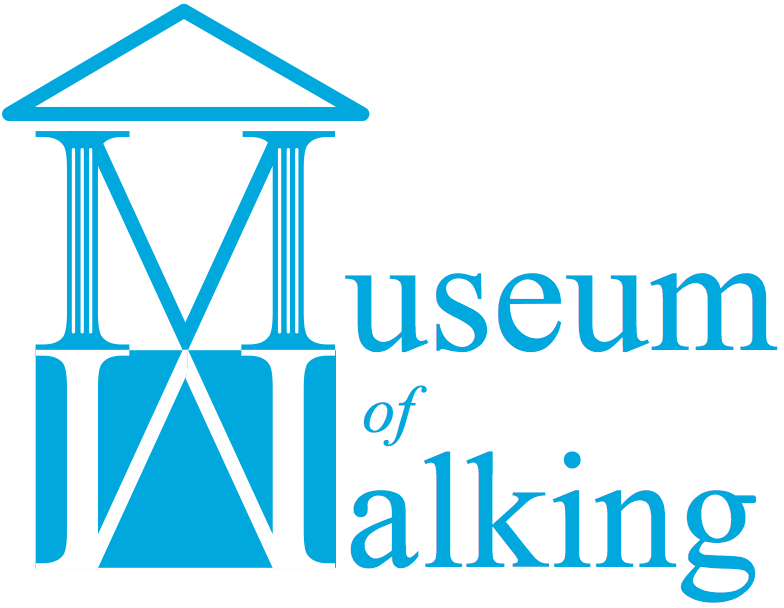 One of the Museum of Walking‘s London Loss series of walkshops. Tom will be signing copies of his books at a special event at Waterstones in Camden. You will also receive a Museum of Walking bookmark. 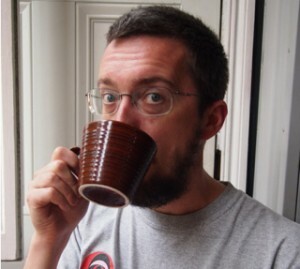 Sign up to or learn more about other walkshops we have run with Tom Bolton. This entry was posted in London's Loss on September 27, 2017 by admin_MoW.